You don’t have to wait until you’re raking in the big bucks to live the rich life. Instagram-worthy experiences can be enjoyed on even a tight budget, provided that you demonstrate a little spending savvy. Start maximizing your money now with these 50 strategies for living the big life on a small budget. Whether you’re choosing what goes into your grocery cart or your wardrobe, it’s important to select quality over quantity when making purchases. Shopping less frequently will give you the time and flexibility needed to save up for higher-quality items across all categories. Scope out nearby farmers markets to find local, quality produce. You’ll get the best prices by stocking up on what’s in season and shopping at the end of the day, when farmers are more likely to discount their remaining supply. If you’ve ever bitten into an heirloom tomato at the height of the season, you know how luxurious a taste of premiere produce can be. If you love to splurge on eating out, opt for lunch instead of dinner. Prices are typically lower in the middle of the day and at off hours like happy hour than they are at the height of the dinner rush, and the food is just as delicious. Work out for free by taking advantage of the world around you. Go for a run, walk, hike or swim, depending on where you live. Chances are that the scenery outside beats the view of the wall at your local gym, anyway. Instead of defining romance as dinner and a movie, take your S.O. on an outdoor date. “With four small children, any cheap date where I can get out of the house and spend time with my wife is a luxury. 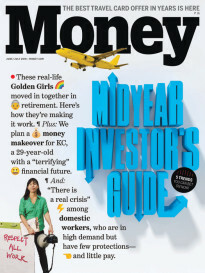 It can be as simple as dropping the kids off with the grandparents,” said John McCarthy of McCarthy Financial Planning. You can pack a picnic lunch or bring a bottle of wine to enjoy under the stars on a quiet evening. Exercise classes can be expensive. Try bartering for a high-class workout that doesn’t break your budget. Perhaps the instructor needs help setting up before class or cleaning the space afterward. You could also help the gym owner by running the front desk, checking in visitors or answering the phone. If you have time to help with these or other tasks, you might just be able to enjoy expensive, high-end workouts for less. If you want to make new friends or try new things in your city, Meetup.com is a great resource. Search for free events like 5k runs, book clubs and more. You can enjoy your city, try different activities and make new friends, all without busting your budget. Most grocery stores offer high-quality coffee in bulk. If you buy ground beans and brew them at home when you have a craving, you can save a bundle on your daily latte. By some estimates, you can save $1 per 16 oz. cup by self-brewing. Wallet Hacks founder Jim Wang added that vacations don’t have to be expensive to be satisfying. “What we enjoy about vacations is that we get to spend time with friends and family, see new places and not worry about work,” said Wang. A hotel is not the only option for lodging when you’re on the road. Consider alternatives like AirBnB.com, CouchSurfing.com and HomeExchange.com to save money. They’re often more cost-effective and almost always offer a unique experience. Use an app like Hitlist that monitors fares from your home airport to bucket list locales and alerts you when hot deals arise. The end result is that you can get to your dream destinations for less. For more flight savings, check out Hopper, which analyzes historical airfare data and lets you know whether to buy now or hold off on your booking to get the best deal. You can also visit Skiplagged, which reveals potential savings through strategies like hidden-city ticketing that you won’t find elsewhere. Sometimes, traveling abroad can be cheaper and easier than traveling within the United States. If you choose to visit a country where the U.S. dollar is worth more, the exchange rate works in your favor, affording you more for less. Instead of taking an extended vacation, you might find more sustainable enjoyment by making short trips more often. Sprinkle a few long-weekend getaways into your calendar. You might also find it easier to unplug from work if you’re getting away for just a few days, rather than a week or more. Toni Husbands of DebtFreeDivas suggested skipping the destination altogether and being a tourist in your own city. “Schedule a day to play in your hometown and explore areas off of your beaten paths,” she said. You might even stumble upon luxurious hidden gems close to home. If you want to plan an ultra-luxurious getaway, consider renting a private jet. The cost is surprisingly comparable to — and sometimes cheaper than — flying first class, if you can find a last-minute deal on a site like JetSuite. Last-minute daily flights start at just $536 for the whole jet. At that price, a jet that accommodates six passengers would cost just under $90 per person. Talk about budget-friendly luxury! Yachting might sound like the ultimate one-percenter experience, but evening sails, daytime cruises and even full-boat charters can be enjoyed quite affordably, when booked through discount portals like Groupon. If you have a weakness for designer items like handbags, dresses and shoes, consider renting them on sites like LendingLuxury.com or BagBorroworSteal.com rather than buying them outright. These portals offer weekly and monthly rates that cost only a fraction of the sticker price when buying the items new. By renting, you can also upgrade to new styles each season without incurring additional costs. You can also score designer clothing and accessories at budget-friendly rates on sites like ebay and ThredUp. Just make sure you know what you’re buying is high quality, and watch out for imitations that are sometimes sold as the real thing. Clothing swaps are great ways to spend time with friends while getting new clothes for free. Traditionally, these swaps are not limited to high-end or designer clothes, but you can make up the rules if you decide to host your own. Just be sure that everyone understand and adheres to the guidelines so you don’t end up giving away high-quality items in exchange for those of lower worth. Refreshing a basic outfit with trendy accessories can be much cheaper than buying a brand-new look. Snag designer accents to pair with your budget-basics, and you can still pull off high fashion. If you reset your consumer calendar to shop for swimwear in the fall and boots in the spring, you’ll save a ton by purchasing items at clearance rates. Just be sure not to wait too long, as your size and favorite designer styles might run out. Don’t discount discount stores for finding items like designer jeans and bags. To locate the best deals in these shops, stick to quality items when sifting through the clearance racks. Additionally, bargain shoppers should check for potential design flaws before making purchases. You don’t have to spend hundreds of dollars on your outfits to feel rich. Give yourself a constant feel-good boost by dressing well each time you leave the house. Instead of donning those yoga pants to hit the grocery store, jumpstart your self-confidence by wearing your favorite jeans and a cute top. If you don’t want to DIY your hair, consider saving money by getting it cut, colored and styled at a local beauty school. Services at beauty school salons are provided by supervised students. Haircuts can be as cheap as $10, but it might be hard to get an appointment if you are in a time crunch or have a limited schedule. Your local massage therapy school might not have a locker room complete with eucalyptus-scented towels and steam rooms, but it is likely to offer great rates on relaxing massage treatments. If you’re willing to be treated by a supervised student, you can indulge in future spa days for a lot less. A mani-pedi can make anyone’s life feel more luxurious, but these services are expensive when indulged in regularly. Instead of shelling out every couple weeks for professional nail art, complete your mani-padi at home, or have a mani-pedi party with a few friends where you provide these salon services for one another. There’s nothing like a movie night to refresh you after a long day at work. Instead of going to the theater and spending $10 on admission, and another $10 on snacks, you can pop your own popcorn, buy snacks and soda at the grocery store and watch a movie from Netflix, getting the same effect for less. Even if you decide to rent a movie, you will save a lot by staying in. If you don’t want to give up your movie nights out, save money by checking for discount times at your local theater. Not all cinemas offer lower admissions, but they might provide cheap snacks and drinks instead. “One of the great joys in life is spending time with family and friends, and that doesn’t have to cost much at all. Open your home, make a pot of spaghetti or ask everyone to bring a dish, and you’ve got a party,” said Teresa Mears, founder of LivingontheCheap.com. Just remember to give everyone an assignment if you decide to go potluck style, recommended New York City-based writer, James Dennin. “There are so many free things to do. You just have to find them in your local area,” said Karen Cordaway of MoneySavingEnthusiast.com. You might be surprised by what you can find just by searching for free events in your city on Google or Bing. You can also look for freebies by inquiring at your local library or checking the events calendar on your local park’s website. If you enjoy going to a museum or zoo on a regular basis, it might make sense to invest in a membership. Memberships to many popular attractions will pay for themselves in just two or three family outings. Switch it up by buying a membership to a different attraction each year. Whether you’re interested in finding a grocery delivery service or a personal trainer, it’s wise to make the most of introductory specials, which give you a taste of large living for a fraction of the cost. Just be sure to read the fine print to make sure you don’t sign up for more than you’ve bargained for and that you can cancel when you desire. A financially savvy alternative to leasing a luxury car is buying a vintage used one. A “newer” used model might still be unaffordable on your small budget. However, there’s a good chance that you can find an older vehicle that hasn’t changed much over the years. Fresh flowers don’t have to cost a bundle, and they can really brighten up your living and working spaces. For best results, go with in-season flowers from your local grocery store, and skip the vase by using one you already have. A recent survey found that, when you consider the convenience factors associated with renting, it might be a better financial decision. Moreover, you can save money by renting a mansion instead of buying one, as you won’t have to pay property taxes or keep up with maintenance and repairs. If you aren’t quite ready to rent that mansion, try upgrading your current living space by using high-end finishes and design elements instead. Typically, the kitchen and bathroom are the best places to start. To save money, try to find things you can do yourself, like changing out cabinet hardware, painting and even installing new backsplash around your cabinets. You can furnish your home for far less if you are willing to embrace second-hand and vintage furniture instead of buying brand-new items. These used pieces will come with their own character and charm and can really add to the unique, HGTV-worthy look of your home. Although there are plenty of events that are free or cheap to attend, there are others that come with some pretty hefty price tags. Instead of missing out, use sites like VividSeats.com to save on costs. You can also use these online marketplaces to unload extra tickets, saving the cash for something you need. Whether it’s minor league baseball games or open mic nights at a hole-in-the-wall comedy club, by skipping the pricey big names, you can enjoy more cost-effective, but equally entertaining evenings. Coupon sites like Groupon and Living Social are fabulous resources for saving money on goods and services in your local area. All you have to do is visit the site, input your location and start searching for the goods and services you desire. With savings apps downloaded to your smartphone, deals follow you wherever you go. Whether you’re waiting to buy tickets at the movie theater box office or in the checkout line of your favorite retailer, an app like RetailMeNot can help you apply additional savings right up to the last minute. You can stop worrying about discount FOMO once you have the right tools in the palm of your hand. Use the local Facebook buy/sell/trade groups that have popped up in the last few years to sell and trade items you no longer need. Then you can use that money to buy things you do need or truly want to have in your new luxurious life. You can make many of the items on this list more affordable by using credit card rewards for travel or cash back. 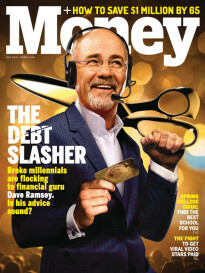 Just make sure you are using your credit card wisely; you don’t want to end up in debt to afford your big lifestyle. Lock in simple savings by using discount gift cards at your favorite retailers. Card resale sites like Gift Card Granny can offer savings of more than 50 percent on gift cards for your top shopping destinations. Whether you want to stock up on necessities at Target or enjoy a little indulgence at Starbucks, the savings with discounted cards are already built in. Instead of letting your pennies collect dust in a jar on your shelf, put them to work for you. “I like to save up my coins to redeem at a Coinstar for an Amazon gift card, and buy whatever I fancy at the time,” said Jackie Lam of Cheapsters.org. Whether you’re buying a train ticket or one for a Broadway show, chances are good that some select discounts exist. Always check to see whether you qualify for any special rates — student, senior, local, veteran or union member, among others. For best results, have the appropriate identification on your person in case the business wants to verify your discount eligibility. Part of living the big life is knowing the value of investing in yourself and your continuing education. Take a class from a community college that sounds interesting, or learn a new skill from a friend or family member. A big life is full of constant learning, not necessarily constant spending. Live rich by sharing the wealth. Give of your time, money and talents, and you’ll get them back in various ways. Even if cash is tight, you can still have an impact by volunteering for a cause that’s meaningful to you, or donating clothing you no longer need. You can also re-gift rewards such as hotel loyalty points to programs like Make-A-Wish. It’s okay to ask for things you really want on special occasions. Even if your friends and family can’t afford to buy you what you’ve asked for, they can give you cash or a gift card to put toward large, wish-list purchases. The occasional indulgence can help keep you accountable and ensure you maintain your new fiscal savvy long-term.